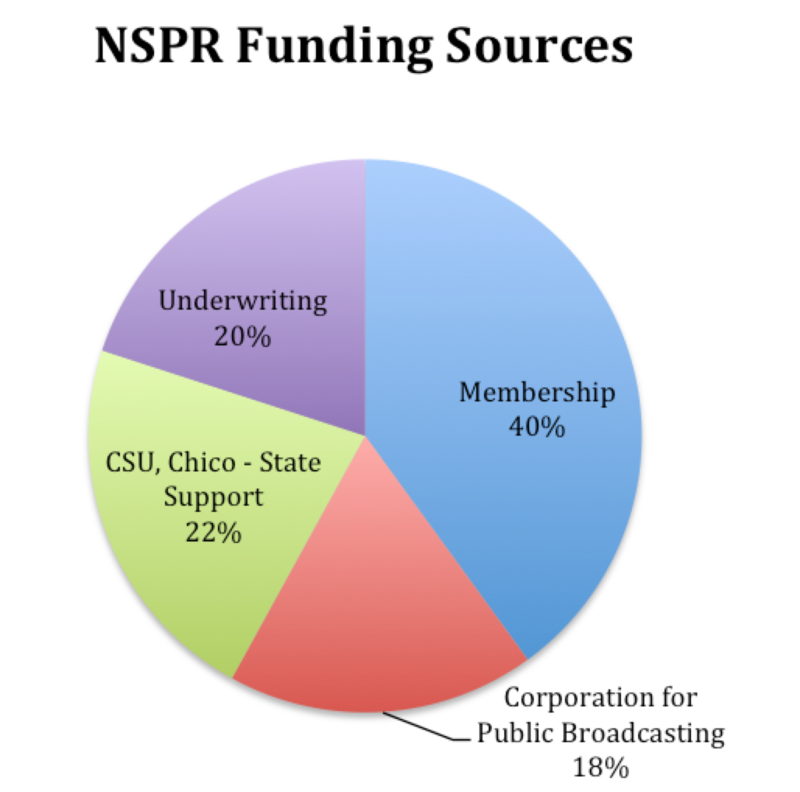 Support from the contributing listener is the single largest source of funding for North State Public Radio. How do I determine what level I should give? For each listener, it's a very personal question. Only you can determine how much you value North State Public Radio’s service. Suggested levels and methods of payment should simply serve as a guide for each member. The average gift of a new member is $75. Renewing members typically contribute $120 ($10 per month). Some members choose to give $365 ($1 per day or $30 per month). Other members choose to give $600 ($50 per month) or $1200 ($100 per month). NSPR gratefully accepts and appreciates gifts in any amount. All contributions benefit NSPR programming. To make your gift now, visit our online form. If you have any questions or comments about membership or individual giving, don't hesitate to contact us at 530-898-5896 or pwilke@csuchico.edu.